Every autumn, one of the most spectacular natural phenomena can be observed in the forested mountains west of Mexico City: wintering Monarch Butterflies. 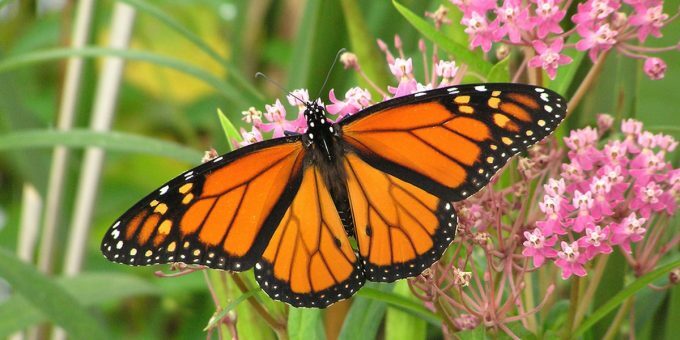 Learn about these marvelous insects, their 3,000 mile journey from the U.S. and Canada, and how you can experience and be witness to the presence of the wintering Monarch at one of the protected butterfly sanctuaries. If you are traveling in Mexico between November and March, this is one of the most rewarding outdoor experiences you will encounter. The Monarch Butterfly, in Latin known as Danaus Plexippus, is native to the North American tropics. An adult wingspan will reach about 4.5 inches (11 centimeters) and weight one gram or less. Milkweed plants provide an essential food source for their caterpillars. The milkweed contains a chemical that is toxic to many species, but which Monarchs can, uniquely, assimilate and store in the cells of its outer skin. This in turn provides the butterfly with a powerful defense ‘shield’ against potential predators and thus assists the insects in their 3,000 mile journey south, to winter in the mountains west of Mexico City. Adult Monarchs live only for 3-4 weeks. However, one of the mysteries of these insects is their capability to breed what has been termed by scientists as a ‘Methuselah’ generation. This is a very special generation of butterfly, born once a year near the end of the summer months. These butterflies can live up to 9 months and this generation will not breed in the north: instead, the butterflies store up nectar from flowers and use this as fuel to enables them to migrate south for the winter. Migrating Monarch butterflies travel in colonies of about 20 million insects and will travel between 80-120 nautical miles per day, depending on the wind and other weather conditions. The butterflies take advantage of ascending warm-air currents, gliding in the thrust they provide, needing only to flap their wings when the air current diminishes a little or when they change their flight path. This technique uses their energy efficiently, and physically enables them to undertake the long journey. The butterflies travel only by day and will roost overnight, usually on the branches and trunks of trees. By around mid November each year, the Monarch butterflies will begin arriving in Mexico. They settle in the Oyamel fir tree forests which are situated in the eastern perimeter of the Mexican state of Michoacan, also bordering the state of Mexico, in the forested mountains west of Mexico City. Once here, the butterflies cluster on the tree trunks and remain in the area for the winter. As the sun heats the day, some of the butterflies will flutter in the forests and return to the tree trunks when the air cools. The best time to see the butterflies is between late January and the end of March: before late January, the air temperature is cooler and the butterflies don’t flutter as much. In February, when the temperatures begin to rise, the Monarchs begin their mating rituals. The females will lay over 400 eggs each on the fine leaves of the asclepias and afterwards gather nectar from the flowers, the fuel source that provides the energy for them to make the journey back north. By mid March, the same Methuselah generation of butterflies that arrived here in November will begin fluttering in a bid to catch the spring time’s ascending air currents which will propel them on their journey back across the border to the United States and Canada. Their short-life progeny, which begin life in the mountains of Mexico, will also begin the return journey back to the United States and Canada, in a staged relay covering several generations of butterflies. The ‘great-great grandprogegy’ of this year’s Methuselah generation will return to Mexico; and although they themselves have never flown south before, they will instinctively know where to fly as it’s believed that their sense of direction is passed on to them genetically from their ancestors. Latest research also suggests that the butterflies possess an “inner clock” which enables them navigate by means of the sun’s position in the sky. This remarkable life cycle is manifested by an insect that weighs less than a gram, but who’s ‘pollinating agent’ work plays an enormously important role in our planet’s eco system. The butterflies begin arriving from mid November each year. January and February are the most popular months for visits, as it’s during this time that the butterfly population is at its peak. The sanctuaries are open to the public between 6 a.m. and 6 p.m. seven days a week. Weekends are considerably busier that week days, especially in January and February. You can visit one of the sanctuaries independently or you can go as part of an organized Monarch Butterflies Tour. Most guided tours visit the El Rosario or Sierra Chincua reserves. The Mexican government has set up a number of protected sanctuaries within a biosphere reserve to ensure that the important habitats required by the Monarch Butterflies are protected and preserved, while still allowing visitors to witness these remarkable insects and enjoy some of Mexico’s most breath-taking landscapes. The Monarch Butterfly Biosphere Reserve covers an area of over 560 square kilometers (350 square miles) and has been recognized by UNESCO as a World Heritage Site since 2008. If you are traveling independently, you can either take a bus or rent a car and drive to the area. Although the Monarch tours are most often marketed as day tours from the colonial city of Morelia or Mexico City, the biosphere is about equidistant between these two cities, making the experience a very long day-trip with a steep hike thrown in for good measure. We recommend an overnight stay at Angangueo if you want to experience the area and the butterflies in the best possible way. See “Accommodation” in the practical information below, for more details. If you are traveling by bus from Mexico City, go the eastern bus terminal (known as Observatorio) and buy tickets on a direct bus to Angangueo, a four hour trip. There are frequent buses from Morelia to Zitacuaro, the third largest city in the state of Michoacan; the journey takes about three hours. From Zitacuaro you can board a local bus north to the town of Ocampo, or take a cab for a fare of approx US$18. From Angangueo, you can take a local bus or a taxi ride (fare approx US$10) southwards, to reach the trail head of El Rosario. This reserve is situated about five miles north from Angangueo (see above), but the trail head is higher and it’s a less strenuous climb up the mountain. To get here take a local bus signed to Tlalpujahua, or jump in a cab to get taken to the trail head; the fare is around US$10 each way. Whether you travel independently or as part of an organized tour, you will find this practical information valuable to make good preparations for your visit. Depending on the climate and weather conditions, the butterflies may start arriving at the biosphere as early as late October or as late as the third week in November. The best months to visit are late January thru March, which is when the butterfly population reaches its peak, the air temperatures on the mountain are warmer and the thus the butterflies are more active. However, these are also the busiest months, so if your schedule allows, we recommend you visit on a week-day and avoid the (crowded) weekends. Monarch Butterflies like and need warm weather, which is why they migrate south. On colder days when cloud and/or rain are present or on days when a cold front has come to pass in the biosphere region (these happen on occasion every year and last from a couple of days to a week) the butterflies will be less active. Keep your eye on the weather reports; if your plans are flexible, try and choose a couple of days when the weather will be warmer, for the best experience. How far up the mountain you have to climb also depends upon the time of year. During the coldest months, (November – January) you will need to hike higher to see the butterflies; as the weather warms up, the butterflies move down the mountain. 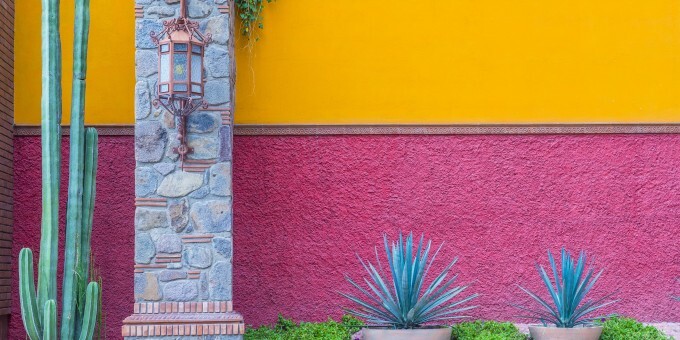 Day tours are marketed to the butterfly sanctuaries from Mexico City and Morelia; however, they make for very long day trips and with the hike at high altitude can be wearing and make the experience less pleasant. If you are traveling independently, we recommend you take the time to stay in the area, get a good night’s rest a small few miles from the trail head, take a hearty breakfast, and experience the butterflies that way. Experienced Tour Operators will include an overnight stay in Angangueo as part of their itinerary. The hotels in Angangueo cannot be easily booked on online; if you don’t visit by means of a an organized tour, local hotel names to consider for accommodation include Hotel Don Bruno, Plaza Don Gabino, Cabañas Margarita. The bus, car or taxi can lead you to a trail head, but it’s uphill on foot from there. Horseback rides are available from Chincua, see below for more details. The trails up the mountain are narrow and steep and you will need to be physically fit to make the journey. The hike can lead you above 3,000 meters (nearly 10,000 feet) above sea level: the air is thin and altitude sickness can affect you. Be sure to take water; vendors sell bottled water at the trail head if you forgot to bring your own. Climb slowly, taking regular breaks–and pace yourself. If you ascend too quickly at this altitude, you could easily feint. See Blog: Breathing Easy at High Altitudes. The micro climate on the mountain means that it can be quite cool or quite warm, depending on the day. You may feel cold at the trail head, but quite hot after climbing for an hour. Dress in layers, allowing your body to warm-up or cool-down as required. Also, take a good pair of hiking shoes or boots; footwear that supports your ankles is best. Flat soft shoes, sandals, and flip-flops are completely inappropriate. On warmer afternoons, the butterflies fly low to settled at ground level, seeking the cooler air and moisture. Inevitably, some butterflies get crushed by visiting walkers… watch your step and try to be as gentle as possible on your feet. You must keep to the trails inside the reserve areas—this minimizes the impact of walkers and visitors on the butterflies. Hiking off the trails is prohibited anywhere inside the biosphere. If you are not up to physical challenge of climbing at this altitude, you may like to consider doing the trail on horseback. El Rosario does not have a horse path, but Sierra Chincua does. Horses can only go so far up the mountain; when the intensity of the butterflies increases, you will need to dismount and complete the journey on foot, so some physical exercise will be involved.